Pair of FORZA Pop-Up Driving Range Golf Nets available in heights of 2.5ft, 4ft or 6ft. Manufactured from florescent yellow mesh with reflective strips. Plastic net pegs and carry bag included. The net pegs are 8 inches long to deeply root your driving range nets in place, stopping golf balls displacing your pop up golf targets. Select a golf net which is 2.5ft, 4ft or 6ft wide to match your skill level, resulting in more worthwhile practice sessions at the driving range. Reflective strips are placed on the top and inside of each of these driving range targets, allowing you to improve your accuracy during evening sessions. Perfect your long game with this pair of easy to install FORZA Driving Range Golf Nets which have been designed to provide high-visibility targets from distance. 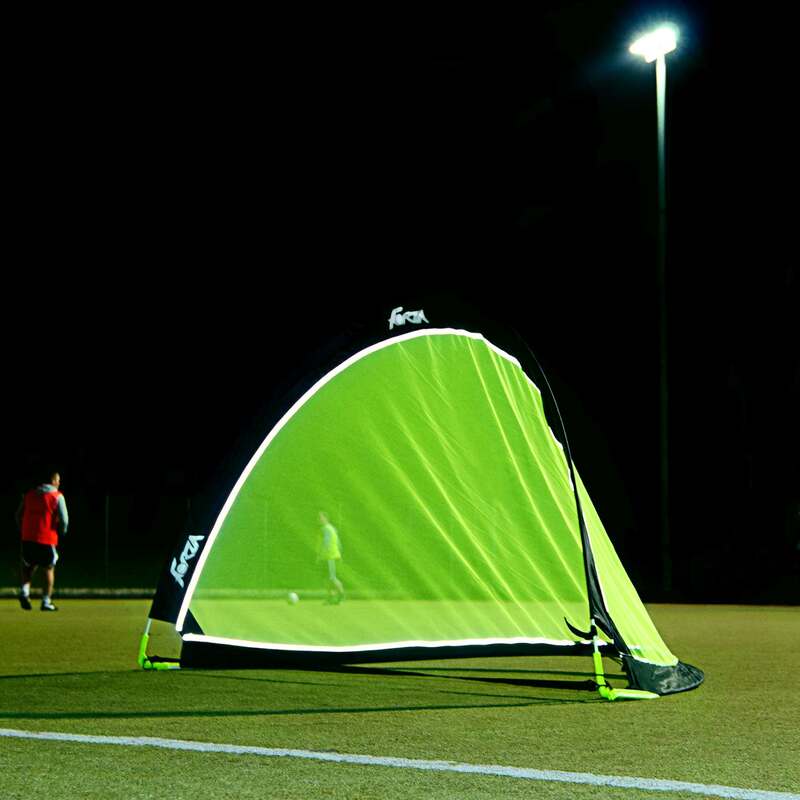 Available in widths of 2.5ft (0.8m), 4ft (1.2m) or 6ft (1.8m), these driving range nets are manufactured from florescent yellow mesh which is surrounded by a bright reflective strip for increased visibility, even during low-light sessions. 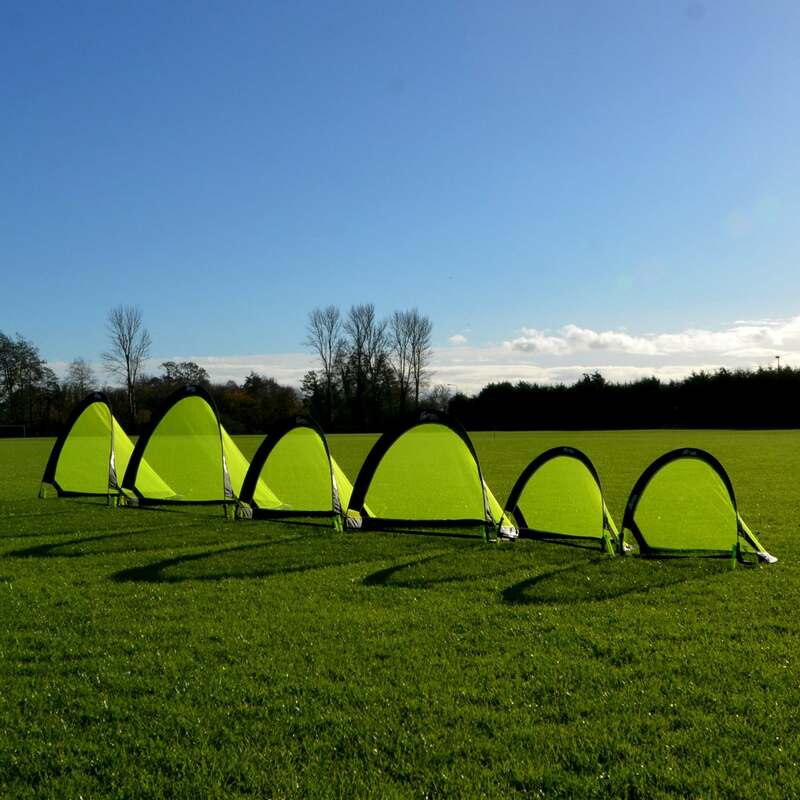 Exceptionally easy to set up and put away, these driving range target nets utilise a pop-up frame which can be quickly folded for storage after use. This ultra-durable frame provides an impressive level of support to the driving range nets, allowing you to practice your technique from incredibly long distances without collapsing. Further increasing the stability of the FORZA Driving Range Golf Nets are 8 inch (20cm) plastic ground pegs. Position these plastic pegs on the corners of your driving range nets to ensure neither strong winds nor golf balls will cause your equipment to move. Please Note: The FORZA Pop-Up Driving Range Nets are not designed to take the full force of a golf swing from close distance. Net World Sports stocks a premium range of golf equipment which will help you to improve all aspects of your long and short golf game, including the FORB Launch Pad Pro Golf Practice Mat, the FORB Auto Putt Returner With Auto Return Mechanism and the Freestanding Golf Cage & Net [Home Driving Range]. Very easy to use! Great price! I was looking for a small net to practice golf, with practice balls only. Most of the nets are very big and too troublesome to set up. This is a well made product, good value for money and very easy to set up. I bought the largest but it is smaller than I expected. The given demotions seem to be taken as if the net was flat, but not when it stands rounded ready to use. It is a little too small for practicing golf, unless just for putting, or maybe for a small child.